Quick sneak peek on the new features of 11.1.2.3 installer. You can now configure EPMA dimension server. 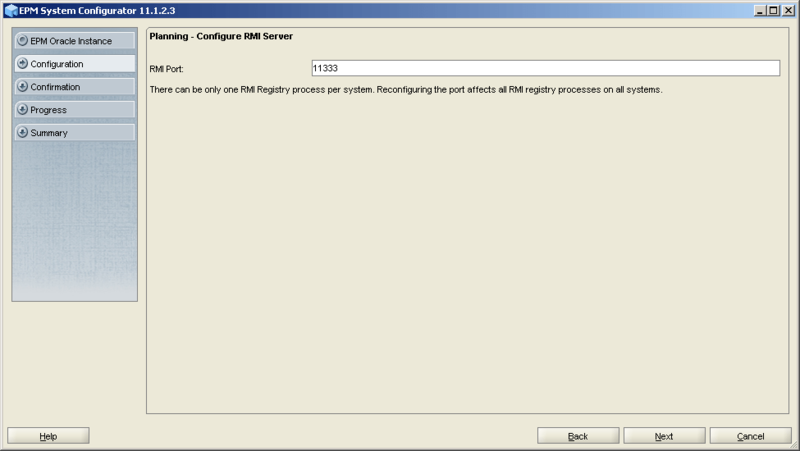 You can now configure Planning RMI server. For some reason Essbase was not showing up in HSS (however the configuration didn’t show any error messages. I went and looked into Essbase logs and found this error. Failed to migrate Essbase to HSS security mode during startup. Check SharedServices_Security_client.log. May need to remove essbase.sec and any of the newly migrated Essbase applications from HSS, then rerun configuration tool. What I did was to delete the SEC file and start Essbase. This will automatically migrate the users to HSS. Are you able to access EPMA without issues? great.could you please tell me how to unzip the files into one location.I tried with normal Unzip and 7zip, but no luck.while installing it is not showing all the products can be installed. Right click and unzip to here. Or create a folder and unzip to that folder!!! I've not even tried installing on Win7. I'll check and if it works will post something. My name is Railton Santana, and I'm studing about the Hyperuion Planning. – Oracle Identity Management 11g Patch Set 6 (11.1.1.7.0) for Microsoft Windows (32-bit)"? @railton You should extract all packages to one folder. I'm not so sure about OIM. 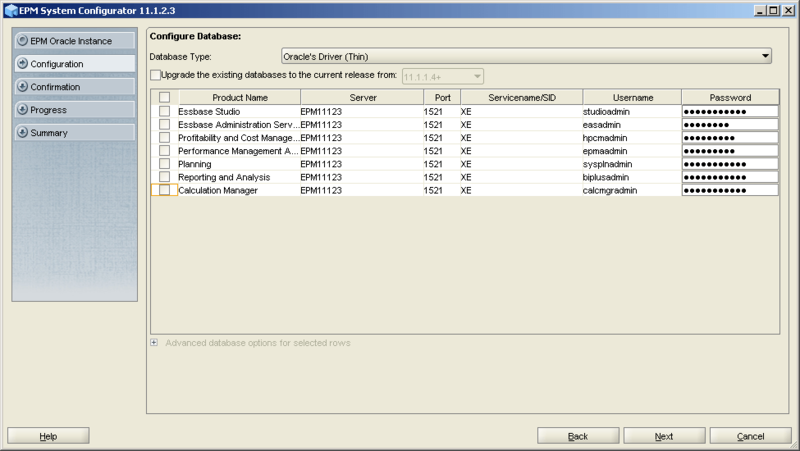 (2) If Oracle Essbase installation solves my problem then what are the steps and pre-requisites? I ll be very thankful to you, waiting for your responce. Firstly I would like to thanks you to answered me on my last question. I have another doubt about Hyperion Planning. I get it install the Hyperion on my server. I am able log in WebLogic Server, but when I try add a new Essbase server show me a message "Error: 1042006: Network error : Failed to connect to ["MYSERVER":1423]" "Error: 1030818: Login failed. Please check if server and port are correct. If you received timeout or handshake failure, please check if you tried to connect to secure port without secure keyword or clear port with secure keyword". Is there some log or file that I have to check or configure. I installed on Linux Suse. Thanks for posting this – it helped me out of a jam i was in. i don't know why it didn't set itself up correctly during the initial configuration but deleting the SEC file worked. Note that you need to shut down all the services not just the essbase service (OPMN). Did you get answers to your query ? I have same situation as I have installed OBIEE & Oracle 11gR2 on Windows 64 machine & I want to integrate it with Essbase. I have Oracle & OBIEE installed on my machine. I want to install Essbase to install on same machine. I have already downloaded it. Do I need to take any precaution while installing EPMA regarding performance of box or need to keep any back up ? Just had this same scenario (Essbase not going in to SS security mode, but no install or config errors) in 11.1.2.4. This post saved me a bunch of time – thanks!